Prince Harry is the latest big name attached to Apple’s upcoming streaming service, Apple TV+, which was formally introduced last month. According to an announcement published to Prince Harry and Meghan Markle’s official Instagram account, Prince Harry and Oprah Winfrey are co-creators and executive producers on an Apple TV+ docuseries focused on mental health. “I truly believe that good mental health – mental fitness – is the key to powerful leadership, productive communities and a purpose-driven self,” said Prince Harry, in a statement. “It is a huge responsibility to get this right as we bring you the facts, the science and the awareness of a subject that is so relevant during these times. Our hope is that this series will be positive, enlightening and inclusive – sharing global stories of unparalleled human spirit fighting back from the darkest places, and the opportunity for us to understand ourselves and those around us better. I am incredibly proud to be working alongside Oprah on this vital series,” he shared. 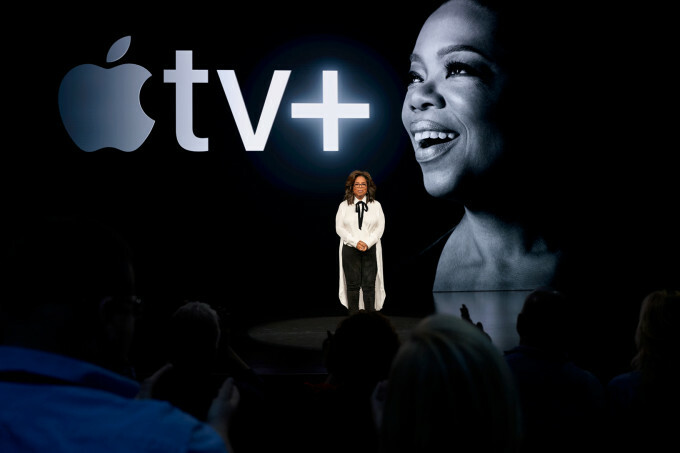 Oprah’s involvement with Apple TV+ was first announced in June 2018, with news that she signed a multi-year deal to produce original content for Apple’s then still unnamed streaming service. At Apple’s press event in March, the company brought Winfrey on stage to offer more details about what she had planned. That includes “Toxic Labor,” a documentary that examines the effects of sexual harassment in the workplace, and another untitled multi-part series about mental health. Prince Harry’s involvement was not mentioned at the time. However, he has been involved for several months, today’s announcement states. The series, according to Winfrey, will look at how “the scourge of depression, and anxiety, post-traumatic stress, addiction, trauma, and loss, is just devastating lives daily across the globe.” The show, if it does its job right, aims to replace shame and stigma around mental health issues with “compassion and honesty,” she had said. The topic of mental health is one Prince Harry has been focused on himself, before agreeing to co-produce the series. “The dynamic multi-part documentary series will focus on both mental illness and mental wellness, inspiring viewers to have an honest conversation about the challenges each of us faces, and how to equip ourselves with the tools to not simply survive, but to thrive. Winfrey also went on “CBS This Morning” to talk more about mental health, the series, and how she came to partner with Prince Harry on the project. She had asked him what he thought were the most important issues facing the world, and he had replied with two: climate change and mental health. The multi-part docuseries still doesn’t have a name, but will arrive in 2020 following the public debut of Apple TV+, scheduled for later this fall. » Royal weddings: How engaged are you?